On a small note, try not to order these on Ebay. The sellers on there are chargeing double the amount for just 1 figure. @AR cards database hey I found this app from the 1mobile app. Called KIU AR card database which allowed me too conveniently download all AR cards streight from my kindlefire. Don’t kno if u made that app as a side project from this website or something? But I hope that can come on other devices it would be handy. Thanks, and yes this is our app and only for Android based devices. Wow! Cool! Do u think u could make it available on othr devices too! I got Pokemon Y in the Mystery Gift feature like Pokemon games always have theres part that says get with code? Whats that about? I can’t find the app, was it taken down? Where do I get the app for Android your speaking of thanks. Hooray! Petz Fantasy 3D is now available on the EShop for download. Now I have something to play until Pokemon X and Y come out in October. Seeming as Kid Icarus: Uprising is near enough 1 year old I am starting to think that there will be no more cards released for the game in Europe or America, I know there are some cards with the Figmas being released in Japan on April, whether these will be the missing cards (405, 409, 410 and 411), I can’t be sure. i think there will be one card per package, no ? Not 100% sure, i’ve heard that the cards are only with the 1st release also, but cant be sure how true that is. I’ve preorderd them from Hobby Search any how, so will update once i recive them both. Yes, it will be kinda sad when they do this,(Especially since my nephew is getting this game for his birthday in April.) I would sign a petition, but not sure if it will help. My Pit and Dark Pit Figmas came in the mail today. Pit came with AKDJ-188 and AKDJ-410. Dark Pit came with AKDJ-407 and AKDJ-409. Thanks, updated. I still need the combat values..
and sorry – the link went gutter. >> http://i.imgur.com/P8VPy8J.jpg this image first surfaced on TOMOPOP 12.17.2010 as the first sculpted teaser. 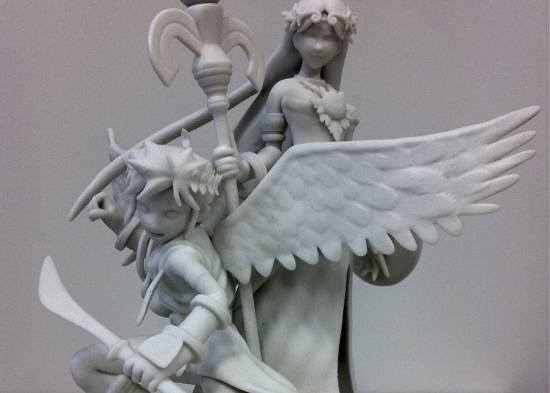 lets hope they really do make the Palutena Figma and release the remaining TWO cards. I’m being sarcastic, I love how Nintendo only releases photos with malleo in japan! If they sell it in America, it will become more famous! While it could be slow loading, the Uprising AR Card battle thing doesn’t seem to be working. Just tried it, seems fine. 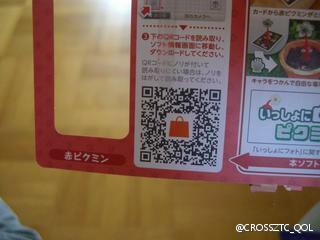 Does anyone know where i can find the japanese animal crossing AR that you get with the prepaid cards? 1) Do I need to print the Animal Crossing cards to use them? 2) Do they need to be printed in color? 3) They do work with the US 3DS, right? 3) No one said otherwise, why not tell us after you try? All have been uploaded, have fun! You can’t use the Animal Crossing AR cards without the QR code for the Japanese eShop because the required software is Japanese only. Sadly I can’t find the QR code for my system. Can somebody upload it? 34 RA cards from Bravely Default! It’s so cute! There are Pikmin AR cards in this video http://www.youtube.com/watch?v=u-rYZL4mAQw&list=FLJmLiUw3OmrTn5TeXOaMS7g&index=2 and there are also QR codes for Animal Crossing New Leaf. Hello guys, it’s been a while since the release of Kid Icarus Uprising, and we still didn’t know nothing about the 405 and 411 AR Cards. I was thinking of it today, and I had the idea to look for 3DS hacking conversations over the net. Progress has benn made in two years. And I could have found something. Here are them, the idols 405 as they appear in the game. Medusa (Rare) and Pit (Victory), with their descriptions. Now, will the cards ever come out ? I don’t know, but at least, we could maybe have their names. Wow Desmu O_O thank you. * Changed name of “Photos with super mario” to “Photos With” and added Pikmin and Animal Crossing. sind alle diese karten für das ar-system fom nintendo 3ds? are these cards all for nintendo 3ds? That’s why we have this site. Say we don’t have the AR cards themselves, we can just print them out. Could you add the ? AR cards that come with the Photos With Mario cards? Or are those exactly the same as the ? AR Card that comes with the 3DS System for use with AR Games? Was anyone able to get the red and blue pikmin ar cards to work? I had no luck. I have asked in February if anyone gotten the red and blue pikmin cards to work? Does anyone know what other places I can find some pictures that will work? your missing an entire new set of AR cards that came out in september this year. the Hatsune Miku: Project Mirai DX card set which contains 38 cards. 6 character cards and 32 Live Cards. i have the entire set. surprisingly enough these ar cards unlike others are double sided resulting in 19 cards. 3 cards contains the characters on both sides, the other 16 contain the live cards on both sides of each card. Some pics are off… Like the card’s pics of the AR Games. Can this be fixed? Can anyone reupload the Kid Icarus Uprising scans?